Where would we be without a trusty pair of blackout tights? 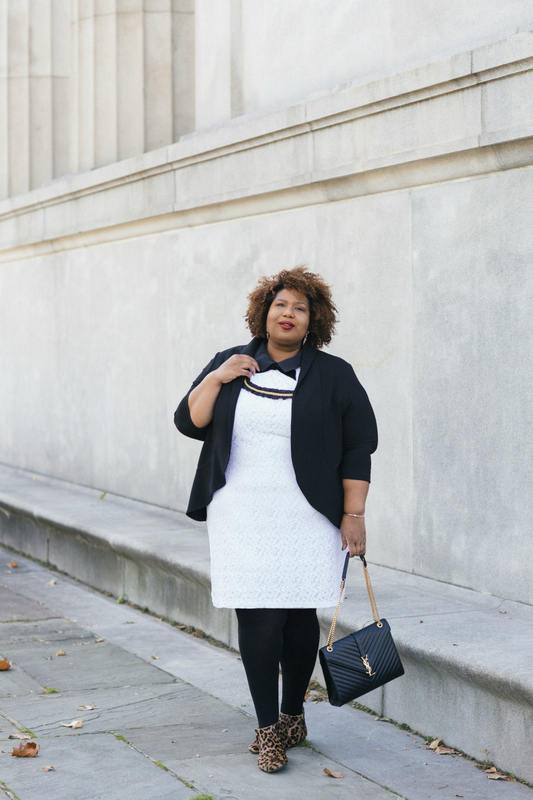 The best part about finding a perfect pair of full coverage tights is not having to let go of your favorite dresses as the temperatures drop. This pair of blackout tights from Just My Size and it's my first time taking them for a test drive. What I love about these is that they are so incredibly soft! We've all been through that itchy tights moment and it aint fun. I'm 5'10 and wearing the size 3x. 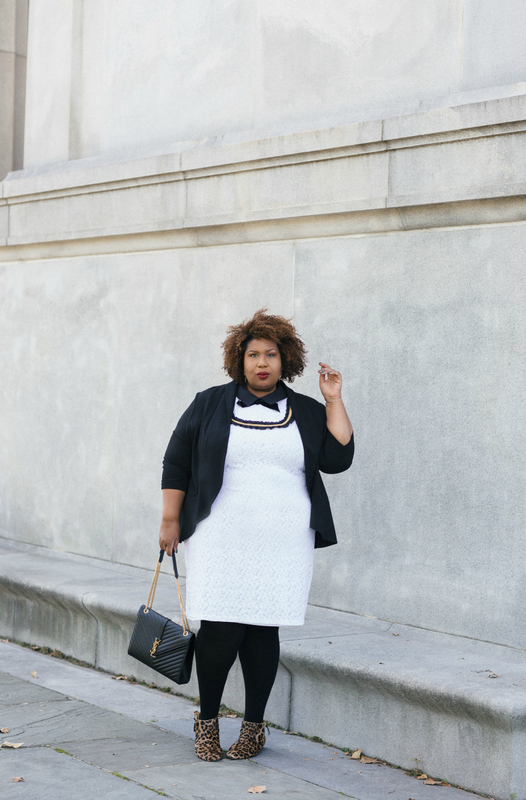 The tights come up past my natural waist and I had them on for a good long while and there wasn't any sliding down around the ankles! 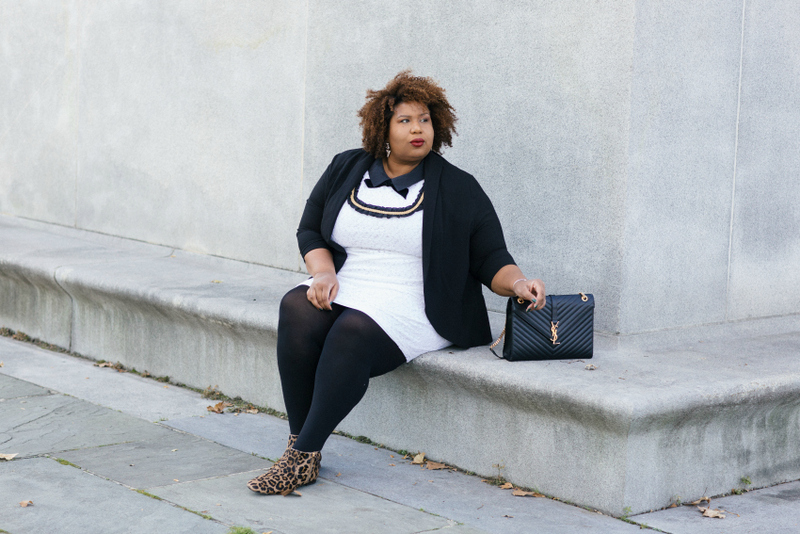 I'm still in my wear party dresses all day any day phase and these tights are going to come in handy! Bare leg season is coming to an end. This post is in collaboration with Just My Size, all opinions are my own.